Kadikale Resort is a luxury 5-star resort and spa, perfect for both families and couples on a romantic trip away. 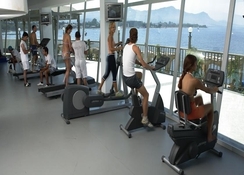 The resort is located just 14km from Izmir Adnan Airport. Whether you’re looking for a beach holiday or want to take in the local history and culture, Kadikale Resort is able to provide the best of both. On the one hand it sits within easy reach of many historical attractions such the tower of Asansor, and on the other it’s also situated on the beachfront, so you can make your holiday just the kind you’re hoping for. It’s also well placed for guests to stop by and visit local conveniences such as food and retail shopping, cash points and tourist information. Rooms are elegantly decorated with tasteful décor and attractive embellishments and all are well-furnished for a relaxing stay. It’s easy to dine well both in and around the hotel. There are no fewer than three restaurants at the hotel as well as restaurants serving cuisine from around the world to be found just a short distance away. 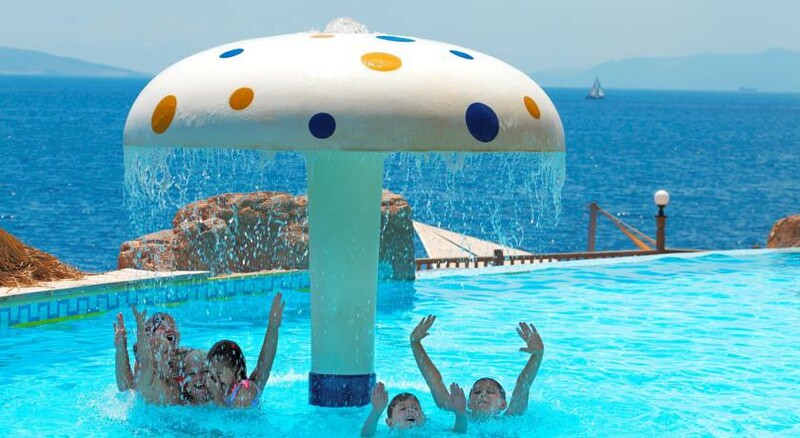 The Turkish resort of Kadikale Resort is located just 14km from Izmir Adnan Airport. The beautiful historical tower of Asansor is just under 10km from the resort. It’s location on the beachfront also provides quick and easy access to a private stretch of sands. There are many local conveniences such as retail and food shopping centres to be found within easy walking distance such as Sarkutire Buca and Ersan Alisveris. Local attractions include the Izmir Ephesus less than 5km from the hotel as well as a variety of luxury medicinal baths where you can cleanse yourself and feel refreshed following a relaxing dip. You can also cool off at the Aqua City waterpark just under a 30-minute car ride away, perfect for a day trip. Rooms are comfortable and feature contemporary design with little ornamental flourishes that add unique character to each room as well as all the basic amenities needed for a relaxing stay. Rooms range from Double or Twin Rooms to Family Rooms. Double Rooms typically hold two guests with a double bed or two single beds. All rooms are well furnished and come equipped with an en-suite bathroom, hairdryer, direct dial telephone, TV, minibar, air-conditioning, safe. Most rooms also feature a private balcony or sun terrace with many offering beautiful sea views. There are also disability-friendly and wheelchair-accessible rooms available. There are three restaurants at Kadikale Resort to choose from, catering to tastes from around the world, so you’re bound to find something to suit you. There is also a lobby bar which is open in the evenings. Around the local area there are many fine bars and restaurants to choose from. 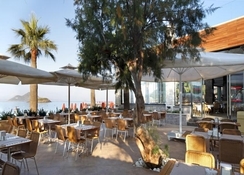 Orkinos Restauarant, for example, serves delicious seafood options. Great Italian food can be found at Pepe Rosso and Happy Italy whilst if you want a no-nonsense great burger then head to Ohannes Burger. 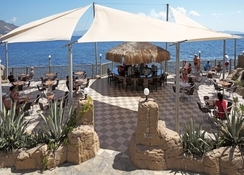 In the evening grab a drink and a great sea view to boot at one of the many great bars dotted around the coast such as Cilveli Bar and Sky Bat among others. There’s no shortage of things to do at Kadikale Resort. Relax at one of the resort’s three swimming pools or the spa and wellness centre. There’s also a sauna, jacuzzi, massage and fitness also available. Children and adults alike can take advantage of the daytime and evening entertainment programs with separate ones for the young and young at heart. Of course, you’ll no doubt want to head to the beach, reached by a short walk. You may want to just relax on the golden sands or alternatively stay active with options such as banana boat rides and beach volleyball.